How good will the Tigers be with Tom Lynch? PREMIERSHIPS are hard to win and going back-to-back is even more difficult. 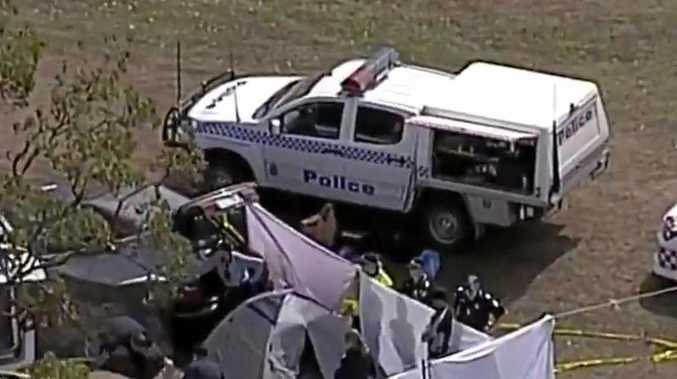 Unfortunately Richmond found out exactly how hard it is this year. The Tigers were undoubtedly the best team all year but ultimately 2018 will be remembered as a missed opportunity to add a 12th premiership cup to the trophy cabinet at Punt Rd. The Tigers' biggest strength, aside from a well-balanced list, is the culture that has been instilled within the playing group and football department over the last two years. Building the type of camaraderie and selflessness Richmond has been able to achieve is a credit to everyone involved with the club. I believe finding that mateship within an AFL club in the modern era is harder to create than it was during my time as a player with Hawthorn because football clubs are now more like a workplace. Players come to their full-time job and basically live in each other's pockets all day - they're like work colleagues to degree where they do their job and go home, whereas in the past the grind of training and preparing for games was taken less seriously because we also had other priorities before arriving at the club. The Tigers were beaten in the preliminary final by Collingwood, discovering just how hard it is to win back-to-back premierships. 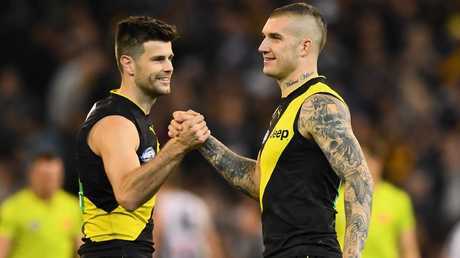 The Richmond players have a connection I sense runs far deeper than that of work colleagues or people who have been forced to be mates purely because they spend so much time together. They have built an immeasurable spirit, which becomes clear when the team runs out to play on the weekend. The star power at the Tigers is obvious with Dustin Martin, Jack Riewoldt, Alex Rance and Trent Cotchin leading the way but it has been the improvement of players like Kane Lambert, Nick Vlastuin, David Astbury who nearly left the club at the end of 2016, Dylan Grimes and Shane Edwards in particular that has enabled this team to become such a dominant side. Josh Caddy is another player who has reached levels many thought he wasn't capable of after probably underperforming based on his potential at his previous clubs, Gold Coast and Geelong. He fits the Richmond game style perfectly and has become a really valuable half forward/midfielder who reads the game so well that he's always in the right spots. Booting 46 goals this year was an outstanding return. The emergence too, of Jack Higgins, who I had rated as the ninth-best player in last year's national draft, has given the group another dimension because his excitement and hunger for the contest gives his teammates a lift. There is also room for improvement in the list. Jayden Short has only played 56 career games, Daniel Rioli was playing catch-up after missing the start of the season with injury and Shai Bolton is a really exciting player who hasn't had much opportunity at senior level because the list had been able to remain healthy for the last two years. Plus we haven't seen much of youngsters like Ryan Garthwaite who has been developing nicely in the VFL and looked good in his two senior games and Patrick Naish and Noah Balta - who can play at both ends - who I rated really highly in last year's draft. Then there's Tom Lynch. How good is the Richmond forward line going to be with Lynch partnering Coleman Medallist Jack Riewoldt? One concern I do have about Richmond is the depth. It hasn't been tested at all during the golden 2017-18 run and their stocks will take a hit during the off-season with the departures of Reece Conca, Anthony Miles, Corey Ellis, Sam Lloyd and potentially Jacob Townsend. Conca was part of the club's best team this year, while the other four were all the next picked players whenever there was an injury. 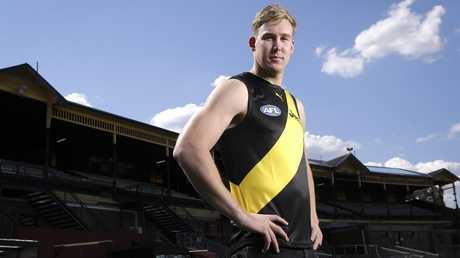 The good news for Richmond is those players have left and made room in the salary cap for Lynch as the Tigers secured the best free agent available this year. Lynch's arrival will help transform the forward line and create the best tall forward combination in the AFL when he lines up alongside Riewoldt. Add the dangerous small forwards into the mix - Rioli, Castagna and Butler - plus Caddy who was a star this year and it's a really exciting prospect for coach Damien Hardwick and Richmond fans. Although it's not such great news for opposition teams as this forward group will create plenty of headaches for rival coaches. 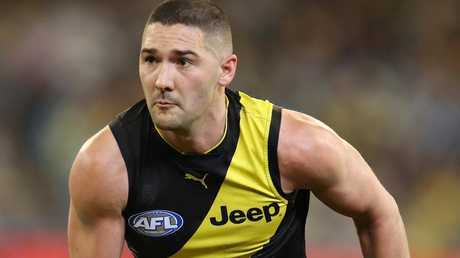 There have been some questions around how Lynch will fit into the forward line next to Riewoldt and whether it will create a big change in game style given the Tigers have been reliant on creating chaos by just getting the ball forward at all costs but I don't think much will change. Lynch is very athletic for his size, so should be able to slot into that game style well given his attributes. 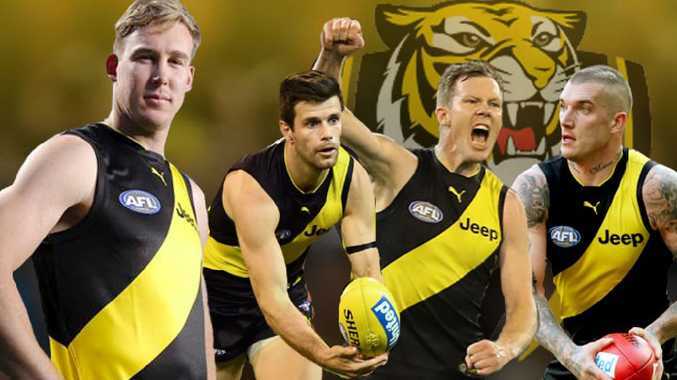 But don't expect the exact same Richmond we saw this year - game styles are always changing and evolving over the off-season and pre-season because if you expect the same results with the same plan as the previous season, you get found out very quickly and find yourself behind the pack. The Tigers will be no different. As for how Lynch's arrival will impact Riewoldt - it can only benefit him. Lynch can play deep and free up Riewoldt to push further up the ground, which will give him a break from copping the best defender every week. The beauty is, both Lynch and Riewoldt can play deep and the other can push up the ground as both are athletic and have good engines to get up onto the wings and then run back hard back towards goal. Finding a ruckman/forward to help Toby Nankervis is the biggest need at the Tigers given it has now addressed the needs for a second tall forward through Lynch's arrival. Playing Shaun Grigg as the second ruckman is no longer sustainable as I believe Grand Finalists West Coast and Collingwood were both able to exploit the weakness and other clubs won't be far behind. Finding a class halfback who can provide run and creativity through the midfield is also be a need given Bachar Houli could be entering his final season. Brandon Ellis fell out of favour a little bit this year, while Connor Menadue and Oleg Markov play a similar role but haven't been able to force their way in and if/when they have, haven't been able to cement their spot. Is it time for the Tigers to look past those guys? Brandon Ellis is probably the one. He was squeezed out of the team for the finals series and was also dropped earlier in the season, which isn't a great sign. He averaged 19.8 disposals in his 18 matches but his ball use let him down. He also only averaged two tackles per game. A summer spent working on his disposal would be well spent. Richmond is the team to beat in 2019. They will start the season as premiership favourites, no doubt about it - Richmond has been the best team over the last two years, even despite the preliminary final loss. If the desire is still burning, the Tigers are the team to beat.